If you work with people with learning disabilities or autism, we can help you to make positive change through person-centred practices. In Canada, the US and parts of Australia, learning disabilities are known as developmental disabilities. You know about personalisation, but you may be wondering how you can really make sure that you are offering a really personalised service. We think that person-centred practices are the way to do this. We work with commissioners, support services and providers to introduce person-centred practices for people with learning disabilities and autism. We use person-centred thinking tools like one-page profiles to empower people to direct their own support and live the life they choose. You can learn more about the person-centred practices in this area through our online learning website, HSAOnlineLearning.org. 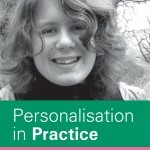 What do Personalisation and ISFs mean in practice? How can we get (and keep) the right staff to support people? Matching people well starts with a one-page profile. I am expected to make cuts – can I do this and still support people well? Supporting people to live the life they choose when money is very limited. How can personalisation work when people have significant disabilities and don’t use words? Listening to people who don’t use words through person-centred practices.